So you’ve started back with the basics. Slow and easy. Or maybe not. 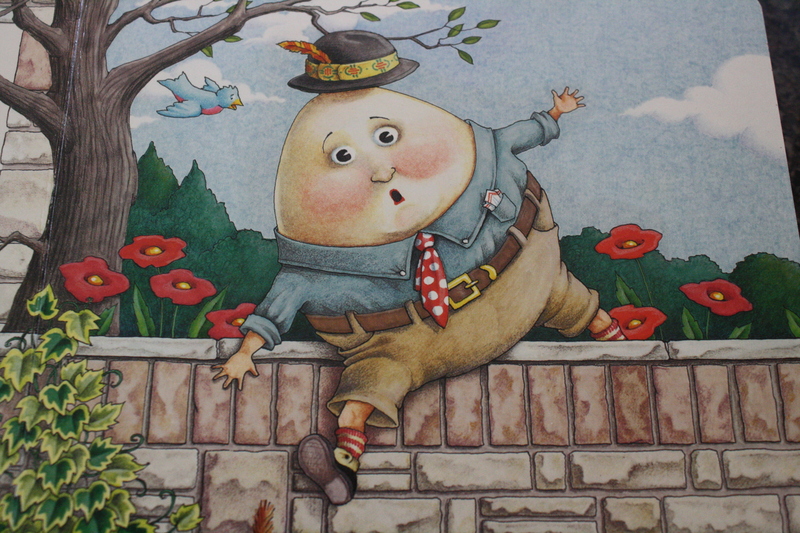 Maybe, like me, you are feeling a bit like Humpty Dumpty, picking up the pieces? Hopefully, you caught a bit of back to school joy. However your days are going, you still have mouths to feed. Basic meal time. We all have to eat! After a full day of school and chasing toddlers, the last thing I want to look at is a long list of ingredients to cook! Give me easy and make it fast. Or cook it slow. When the rest of the day is a continual challenge I keep mealtime simple. Here are the strategies I use to make suppers easy, inexpensive and delicious. Make supper at lunch. Several days of the week I make supper while we are cleaning up from lunch. I spend just a few minutes when I’m already in the midst of mealtime. All that amounts to is something like this. Come hungry time, the main course is ready. Just add your family’s favorite sides. Spending a few minutes at lunch just saved the call for expensive pizza delivery. Just two ingredients. As above, just chicken and barbeque sauce. Frozen chicken tenderloins and a can of cranberry sauce in the crock pot. Chicken and the taco seasoning packet. Ground beef and the seasoning packet. Two ingredients in the crock pot. Yes, making something as easy as tacos in the crock pot may sound lazy. I just know from experience that when the time comes to stand, cook the meat and stir in the seasonings – someone will be pulling on Mama’s pants leg. I’d prefer to have supper cooking on it’s own and be free to soothe that needy child. (If it is later in the day I often pull out a bag of already cooked meat, add the seasoning and turn on the crock). Keep it simple. It’s ok to designate the same meal on a certain day of the week. Simplify by deciding “if it’s Monday, it’s spaghetti.” Then have spaghetti every Monday. Cassandra at Apple Pie suggests the luscious idea of having a week of soups in her post, easy suppers. Talk about cozy! Yes, there are occasions to spend more time on family meals. But, for me, now is not the time. Not when we are focused on back to basics. For now, keep it comfortable and easy. Maybe you’re interested in easy meals with little effort all the time? Now, I love to talk about food. In future posts, and after we have another week of school under our belts, we’ll consider doubling recipes. We’ll put an extra meal in the freezer for another busy night. Maybe you might be interested in when-you-do-the-big-shop-cooking. It sure saves time on school nights! 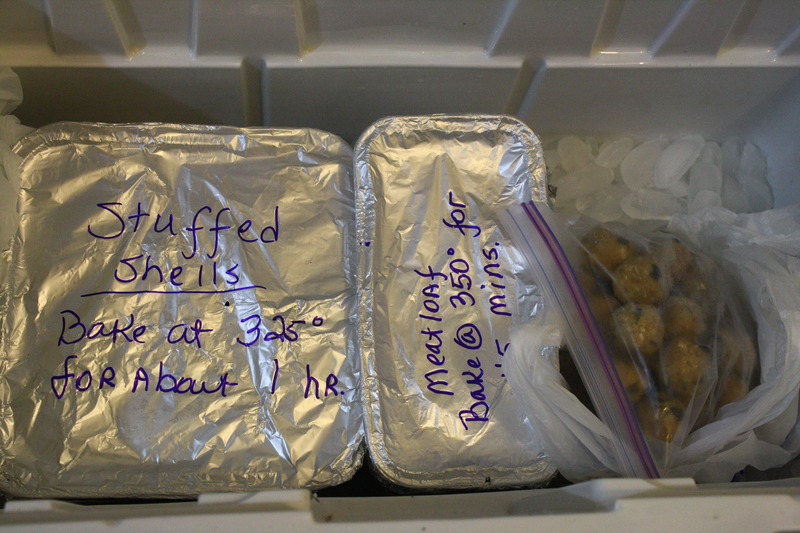 A few times a year I plan a big cook, putting more thought into freezing favorite casseroles. I’m Writing My Own Cookbook, so feel free to browse meal plans and family-friendly recipes. Kerri has the handle on What’s For Dinner? in her series. If you missed it earlier, she covers planning, coupons, purchasing and presentation. Hope that whets your appetite 🙂 Do you have a favorite school night recipe to share? Thank you for this post, its very encouraging! I so remember when I had two under 13 months of age prepping dinner at lunchtime. Your post actually brought a smile to my face regarding that season of life. I found cooking meals to be a stress relief for me with young ones because I actually got something accomplished. I love finding new recipes that work for my family but I need to be reminded that some nights just need to be simple. Thanks!! Thank you so much for this post and the crock pot ideas. I have one but do not use it enough!! I look forward to read your future post in this series!! God Bless! Well, you know I love to talk me some food, too, so I am looking forward to anything you have to say on the matter! glad you’re keeping it simple. it gets pretty frustrating to see family dinners w/ multiple ingredients when i’m not in a compatible season of life. w/ a 5 and 3y.o. plus a 2mo. old who wants to nurse every 2 hours (guess what i’m doing right now)i figure i can either cook or eat, not cook then eat. So the crock pot is getting used a bunch and meals are basic but still yummy.